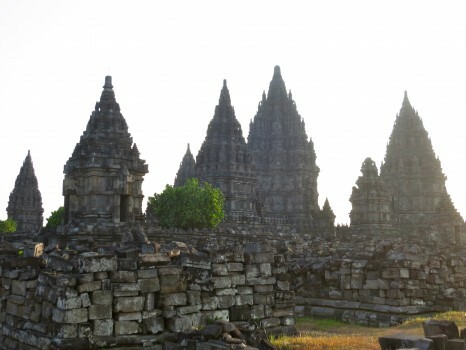 Prambanan is the most evocative Hindu temple complex in Java. It features about 50 temple sites, many of which suffered extensive damage during the 2006 Earthquake that devastated the island. 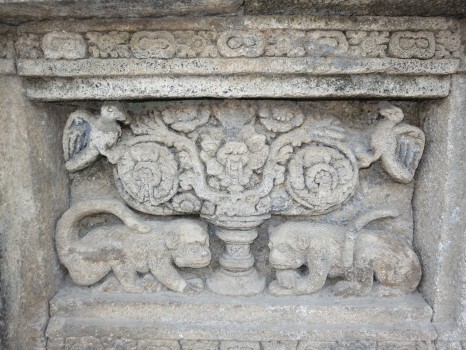 The temples survived but many incurred lasting damage that will take years to fix, especially on the main Shiva Temple; which had damage to 479 stones. 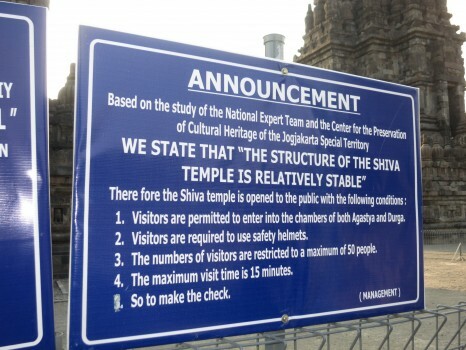 Just recently they have started allowing visitors back into the Shiva Temple and you must wear a hardhat if you do go inside. It is not the most reassuring of things in my view, as you can see in the ridiculous sign they posted (above), and there are a lot of rocks above you that look like they can fall at any time. 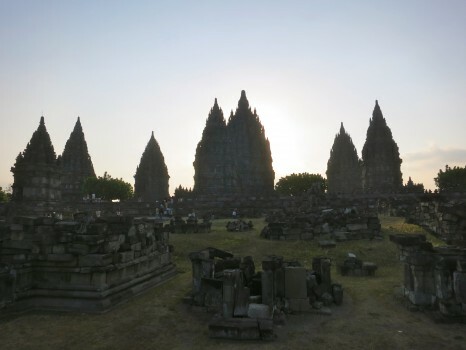 That said, Prambanan and the Shiva Temple are still worth a visit. 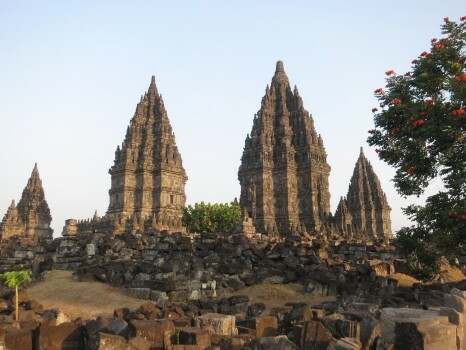 Prambanan is a World Heritage Site. 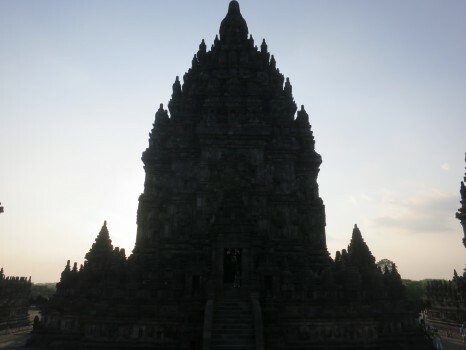 As I said, the Shiva Temple is the main and largest temple in Prambanan and it rises up some 47 meters. 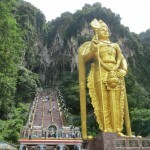 It is decorated up and down with a ton of carved deities; which are really cool to examine. The detail is exquisite. The statue of Shiva stands in the middle chamber. Statues of the Goddess Durga, Shiva’s elephant headed son Ganesh and the teacher Agastya stand in the upper part of the temple. The Shivu Temple is flanked by the Vishnu and Brahma Temples; which make up the main parts of the complex. 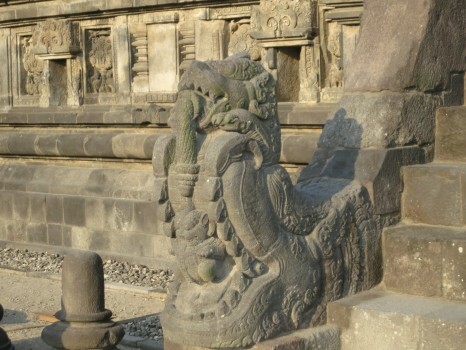 Built in the 9th Century, the Prambanan site was abandoned soon after completion and by the 19th Century, most of the temples had collapsed. In the mid 20th century a reconstruction project was done to restore the complex to what it is today. 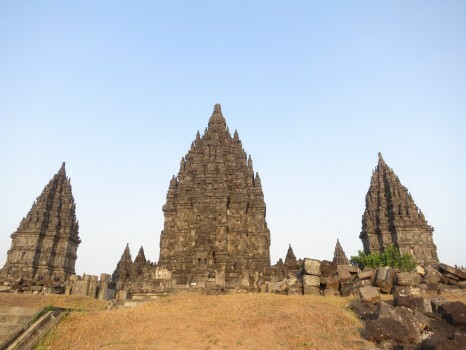 Today, it is a great place to visit for a few hours and it’s only a 15-minute ride away from Yogyakarta; which is the best place to base yourself to visit Prambanan. You can fly to Yogyakarta airport via several airlines including Air Asia as I did from Singapore. 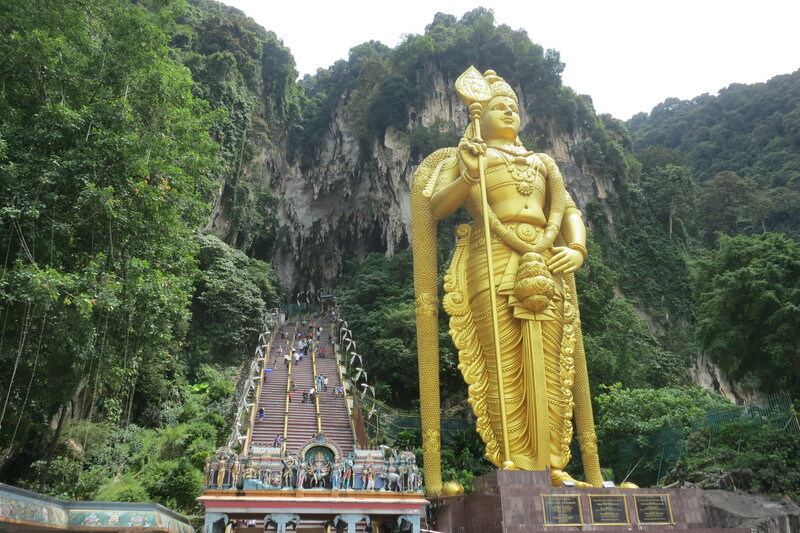 I really enjoyed my time exploring the complex, walking around to see all the different angles to photograph and all the different temples and carvings. It is really impressive although quite touristy. My biggest piece of advice is to not go when I did. I went in the late afternoon as the sun was almost directly in your eye when you entered form the main gate. This made it difficult to see properly, even with sunglasses on and it made pictures difficult to take from that side. That time of day is also packed with tourist busses. I had to take most of the pictures that came out well from the back of the complex. It’s still a good site and a great view but not as much creative freedom with photographs. 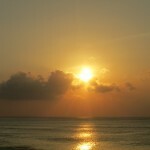 So go in the morning or during the middle of the day when the sun is directly above you. The ticket will cost some $15 for adults and if you have a valid student ID or ISIC card, like I do, it’ll only cost you $8. Also keep in mind you need to pay 50 cents to park. Not a lot of money but if all you have are 50,000 Rupiah notes it is a pain because you will undoubtedly get a ton of small bill change crumpled up and fairly disgusting. So carry some small bills or arrange with your driver ahead of time to have him pay! It’s a really cool place to visit! 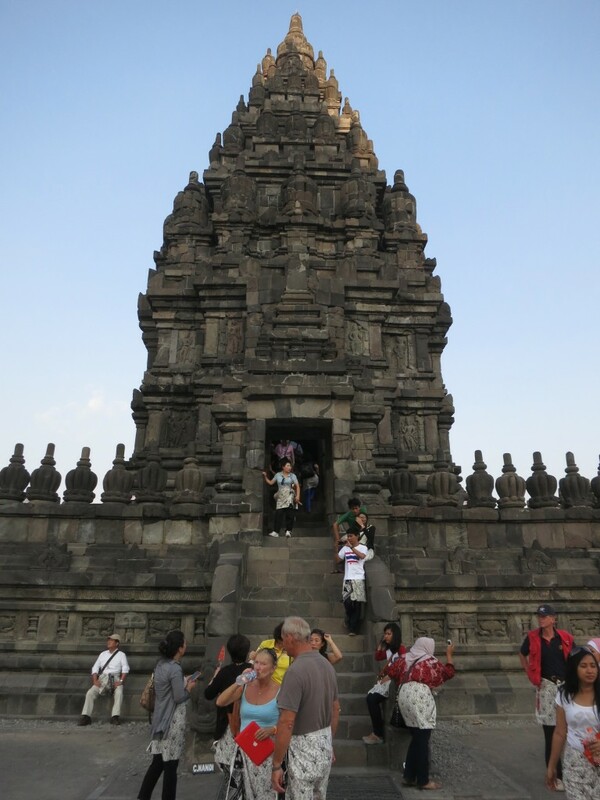 I was at Prambanan about a year and a half ago and you couldn’t enter Shiva Temple. 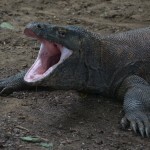 Although I have to say that sign, plus the fact it’s Indonesia, doesn’t give me confidence that it’s safe! Haha no, it didn’t give me confidence either…I was in and out pretty quick…not a ton to see inside anyway and too many people in a small enclosed place, I hate that. How does it compare to Angkor Wat? I hate when tourists get in the way of good photos! Haha I couldn’t agree more! I would love to see something like this in person, looks fake in pictures! Go there! See it for yourself, super cool place! 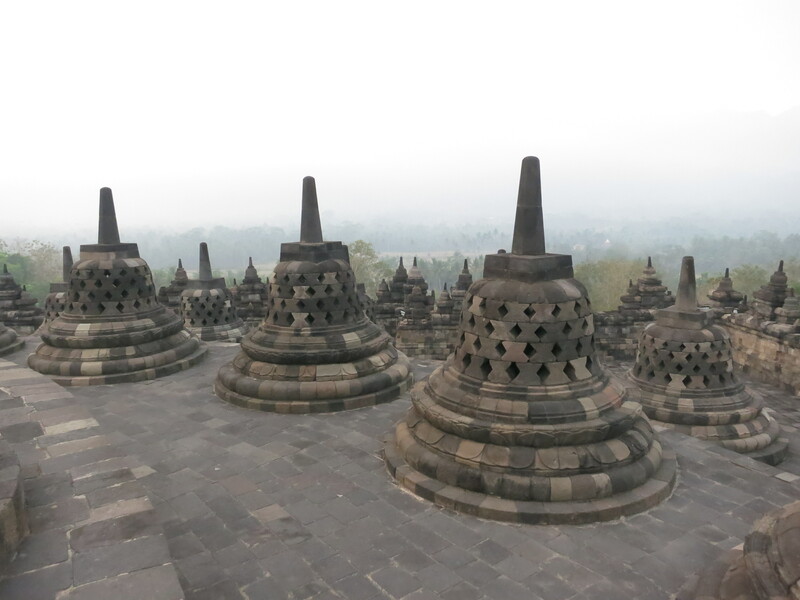 How does it compare to Borobudur. I saw you were there on facebook. Are you going to write about that too? 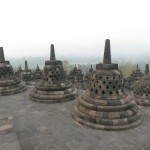 I will write about Borobudur in the next few days and thanks for following me of Facebook…I will save comparisons between the two for the article I write but they’re different kinds of sites but obviously similar at the same time…hard to explain in a comment so will in the post but both are good but neither is Angkor Wat as an earlier comment asked. 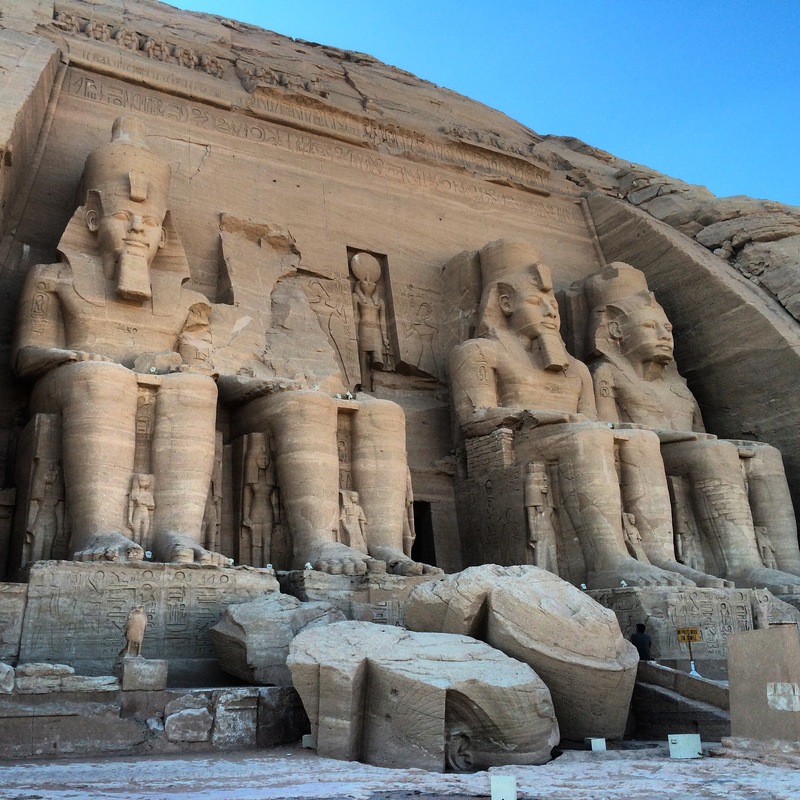 When I see places such as this I’m always amazed by the idea of how much man power and fortitude it took to build. 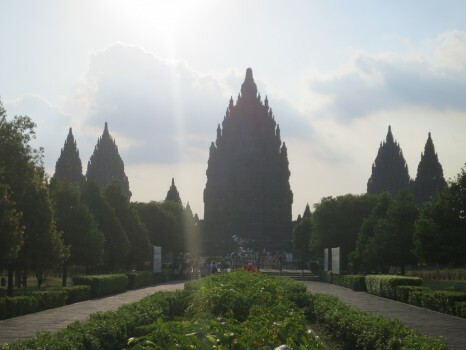 From a distance Prambanan is amazing, but close up it’s spectacular. Thanks for all the advice. I’m sure it will come in handy if I ever make it there. i always found this architecture interesting but after visiting Cambodia in Aug/Sept. i am really in awe of it now. it is truly so beautiful – there are so many details you cannot possibly appreciate them all. the stability is definitely questionable – agreed. i feel lucky to have seen Angkor Wat…probably won’t last until the end of time.